Home › BACON › Cheeseburger Subs! Cheeseburger Eyes! The Sheboygan! 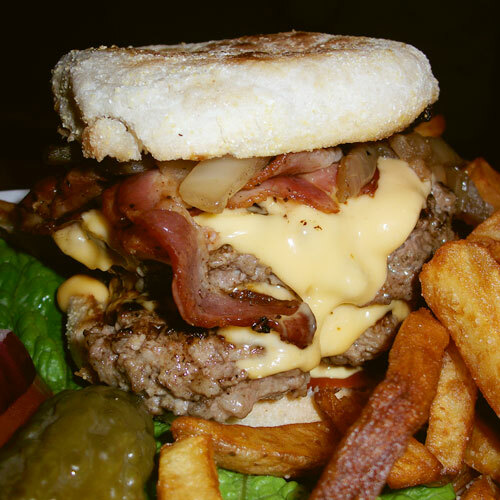 Yes, More Cheeseburger News! 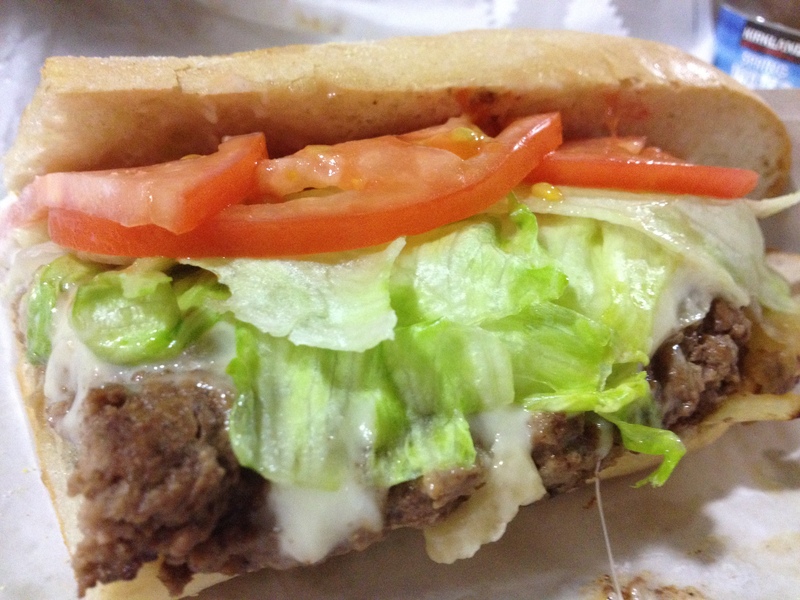 Yes, I had a Cheeseburger Submarine Sandwich, and life will never be the same….only better. 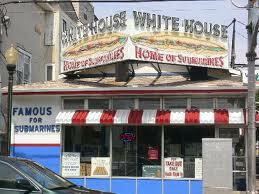 Thanks to the brilliant sub masters at “The White House” of Atlantic City, New Jersey…. 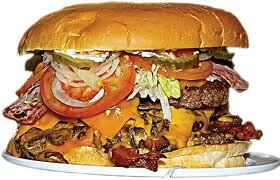 OK, we’ve got so much “breaking” cheeseburger news, let’s get to it! The White House of Atlantic City! This classic sub shop has been in business for 65 years, and has served subs to everyone, including Presidents and yes, Jersey’s “Chairman Of The Board”, Frank Sinatra! I got to try their “Cheeseburger Sub” at their first spinoff location, at the Taj Mahal on AC’s boardwalk. It was delicious! What makes the White House subs so good? Well, there are more than a dozen hot subs, more than a dozen cold ones, and every order can be “enhanced” with grilled or fresh onion, grilled or fresh peppers, a variety of cheeses, condiments, and…well, just about anything you can imagine…and they have a fun, “let’s share some great food” attitude – and of course, the cheeseburger sub! Oh, and what you see above you? That’s half of A HALF SUB! 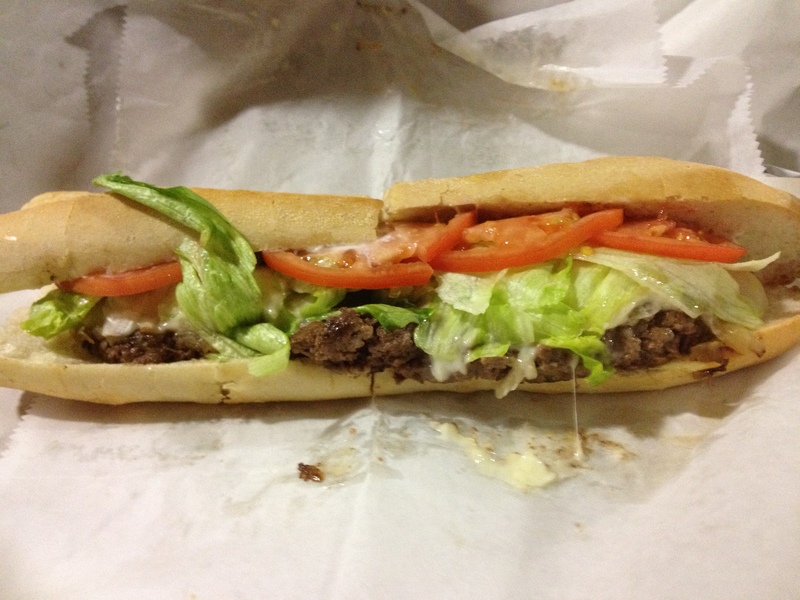 Yes, you get 4X what you see here for $14 – or a half sub, double this, for $7…their prices are insanely low! Cannot recommend them enough! 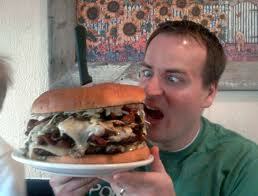 “At least TRY eating the damn burger with your hands. All you uptight people with your forks and your knives are driving us crazy. With an attitude like that, I can’t wait to go to Berlin to see their work in person. It’s like traveling the world to visit museums, except in this case you get to eat the art! 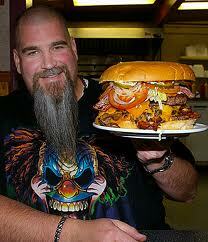 This HUGE burger was featured on “Man Vs. Food”. Here is what they cooked up for Adam Richman: 2 x 1 lb patties, bacon, mushrooms, Swiss cheese and blue cheese on each layer, plus mayo lettuce and tomato, and a basket of Big Jud’s fries…enjoy! 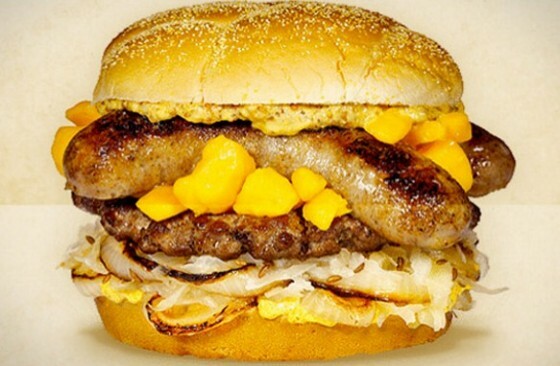 Those crazy Wisconsin cheese makers are back with another entry from their terrific website….this time it’s a beef patty topped with Wisconsin cheese curds, a split bratwurst, sautéed onions, beer mustard, and sauerkraut on a Kaiser roll. Dig in! 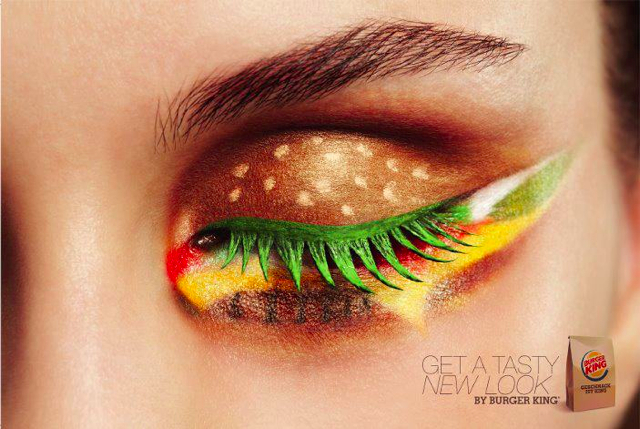 Finally, Burger King in the Netherlands offered this up: an ad for cheeseburgers in the form of eye makeup…nothing more to see here, just enjoy it for the surreal nature of it! ‹ Bacon Coffins! Bacon Turtles! Bacon Crusts! The World’s Craziest Bacon News! Cheeseburger Subs! Thanks To “The White House”! « Bite Eat Swallow!